Are you going on a short trip? Or maybe a long vacation? It is always wise to start planning early so you know what to pack. 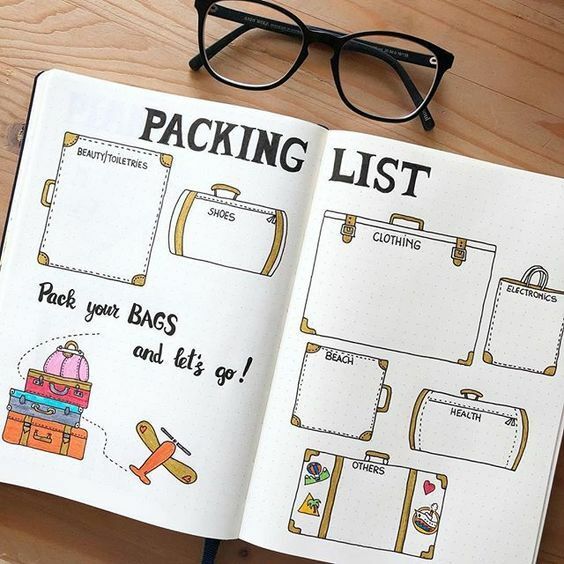 It will depend on what type of trip you are taking and your destination, but you can use a travel bullet journal to help you organize your packing! What is a travel bullet journal? Before we get ahead of ourselves what is a bullet journal and what is a travel bullet journal? A bullet journal is a way to record the past, organize the present and form the future. You can use a bullet journal for many aspects of your life, including your travels. Carrying a bullet journal with you while you travel is a great way to reflect on your trip, stay in the present and plan all of your adventures. There are many different ways you can start travel journaling, but remember to keep it about preserving your memories and staying organized. How do I use a bullet journal for packing? I love lists and bullet journals are the ultimate lists. In fact, I use lists for many reasons and a bullet journal is a convenient way to keep track of lists, especially when you are getting ready to go on vacation. Feel free to make as many lists as you need in your travel bullet journal. 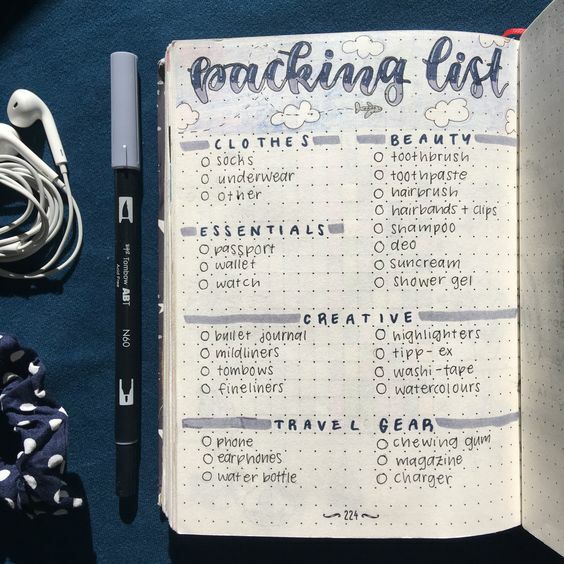 Using a bullet journal to keep your lists organize will help you visually see what you are bringing so that you don’t forget anything and so you can pack smart. There are many items that you never want to forget on your travels. If you are going on a road trip or flying, you may only have limited space to pack. 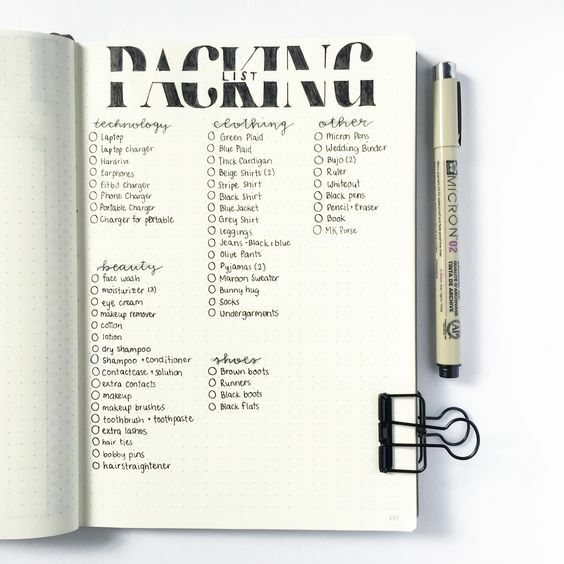 A bullet journal will help you organize what to pack so that you can easily bring everything you need on your trip! From swimsuits to business suits, you always need to be prepared with plenty of outfits on your vacation. Make separate lists for casual items, sleepwear, dressy items and of course the essentials like underwear and under garments. This can also help you plan out your outfits so that you don’t forget anything. A helpful tip, bring items that can be used for both dressy and casual outfits, like a cami, to save room in your luggage! Of course, you can’t go on a trip without you toiletries. Yes, some hotels will have soap and towels, plus you can also go to a nearby store to stock up. But if you are like me and are picky about your soap, makeup and hair products, it is just best to bring your own! Making a list of all of these things will help you be ready for your vacation. Plus, it is a useful way to know what things you need to stock up on before your travels. Even more important than outfits and toiletries? The essentials, things like your phone charger, money, driver’s license, plane tickets, keys and itinerary. 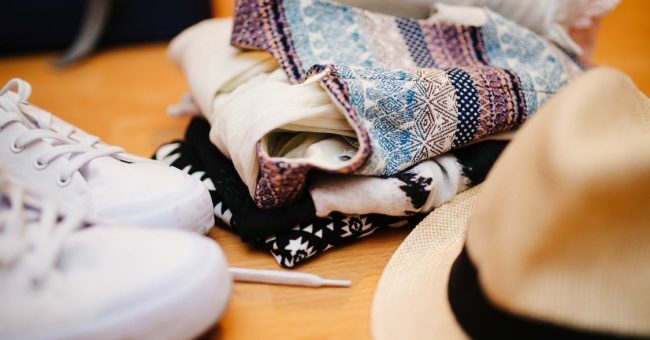 Adding this list to your travel bullet journal will help you remember to bring these important items and also make sure you remember to bring them back home with you. These things are often times easily forgotten or left behind. There are many different ways to organize your travel bullet journal. As long as you are using a format that is easy to follow and use. I prefer making a master list along with mini lists. I also like to add in a checklist to help me remember things. You can use other bullet journal methods to help organize your packing lists like adding a key or color coding items.